We still have spaces available working for DRS in a brand-new site based at Wymbush, Milton Keynes. Working Monday to Saturday, Paying £8.50 to £11.50 per hour dependent upon shift and role. Roles to include: Warehouse Operator, Prepping Operator, Scanning Operator, FLT, Data Entry Operator, Supervisor and QC. Apply today to arrange an appointment to secure your space. To apply please email your CV in Word format to drsprojectteam@qualitypersonnel.co.uk. Quality Personnel your independent local Recruitment experts - search and start applying! Quality Personnel is the leading independent recruitment agency in Milton Keynes with hundreds of jobs in Milton Keynes, Buckinghamshire and the surrounding areas. 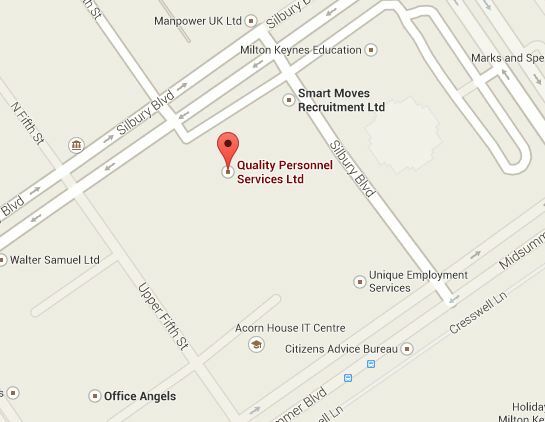 If you are looking for a temporary, temp to perm, contract or permanent job in Milton Keynes or Buckinghamshire, Quality Personnel can help you find your perfect job!